Jerry Grandenetti at his finest. I haven't covered Archie Comics in this blog so far, but here's a terrific bit on Archie's slavish devotion to the latest fad. In Atom #1, we meet the first recurring villain in the Atom saga; The Plant-Man, aka Jason Woodrue. Although human-appearing he's secretly from another dimension, and has powers over some extraordinarily destructive plants. He attempts to take over the country, but the Atom foils his plot with the help of a pixie-like flower spirit named Maya. The story follows the plot outline that was established in the Showcase issues, with the Atom getting involved to help one of Jean Loring's clients. Woodrue would appear again in the Atom and had a significant role in some Swamp Thing stories much later. 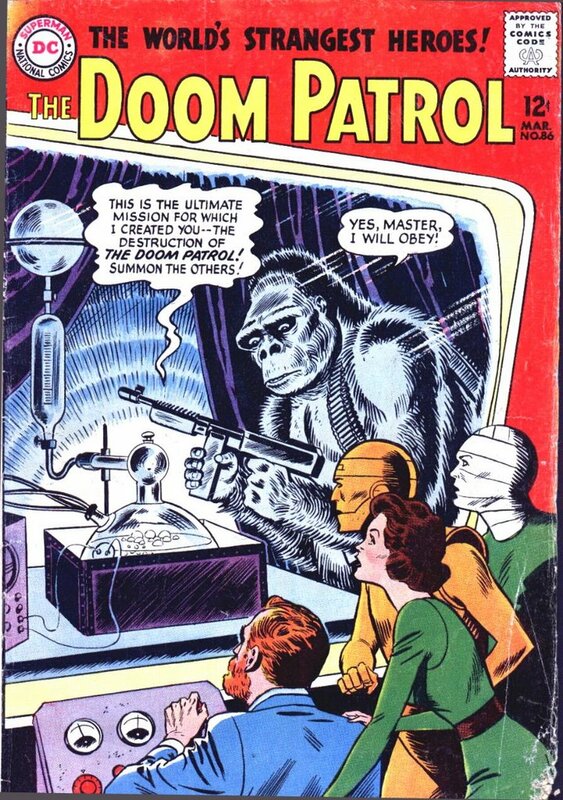 The second story featured something of a surprise; it was the return of the villain from Showcase #34, the first Atom story. The surprise in this case was because the villain (Carl Ballard) was non-costumed and non-superpowered. 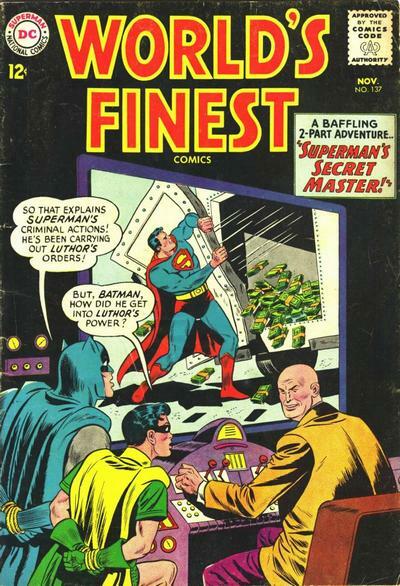 I can't think of an earlier Silver Age case of a return DC villain having neither of those characteristics, with the obvious exception of Lex Luthor, who's clearly a special case. In the third issue things really got rolling. The Atom's most durable opponent, Chronos, makes his first appearance, as does the Time Pool, his method of time travel. As I have remarked in the past, DC generally found time travel an irresistabile topic, and each of the DC heroes had his own method. In the Atom's case, it was Professor Alpheus V. Hyatt's Time Pool, which was basically a magnet at the end of a fishing pole. The Atom goes back to the time of Aladdin, where he plays the part of the genie in the lamp. Chronos was only one of many clock-related DC villains, but he outlasted most of the others. He commits clock-related crimes with clock-related equipment. Actually the Hulk never really went away. Although his own comic was cancelled, the Hulk popped up in the first couple issues of the Avengers and in Amazing Spiderman #14. Then, in Tales to Astonish #59, Giant Man decides to try to find the Hulk and get him to rejoin the Avengers. 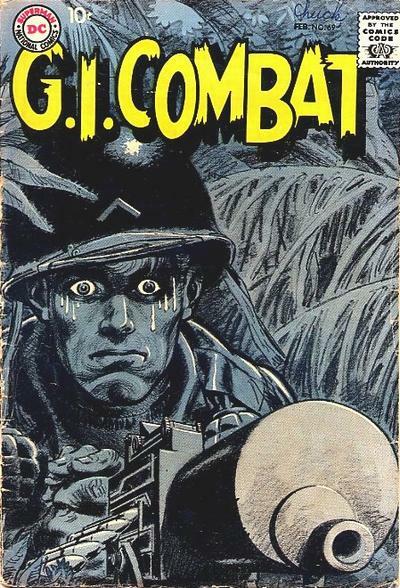 Unfortunately, the Hulk mistakes his interest for a threat and so they have a battle before General Ross, believing the Hulk to be alone due to a trick by the evil Human Top, fires an atomic shell at them. Fortunately the Hulk catches the shell and hurls it to where the Top is hiding. About 3/4 of the way through this story, Marvel announces that effective with the very next issue, the Hulk will be taking over the backup spot in Tales to Astonish. Steve Ditko, who'd stepped into Jack Kirby's role as artist and plotter with The Incredible Hulk #6, resumed those chores in TTA #60. In the first story back, Bruce Banner realizes that it is stress which turns him into the Hulk. Unfortunately, he cannot avoid stress because of his work for the military. He has been designing a powerful robot that is virtually indestructible. Unfortunately a spy steals it and only the Hulk can hope to defeat it. During the heat of battle, the Hulk's emotions overload with anger and he converts back to Banner (getting away before the spy in the robot can see him). TTA #61 continues the story. Major Glenn Talbot arrives at the base; he will be Banner's chief rival for Betty Ross' attentions for years. 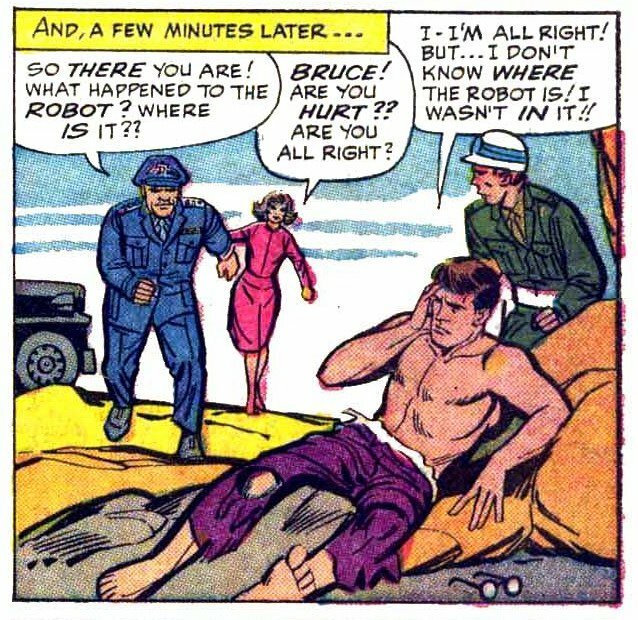 Talbot is convinced that Banner is a spy, and he enlists Betty to try to help him find Bruce, who is out in the desert looking for the robot with an electronic scanner. Talbot shows himself to be a hero when the robot tries to kill them with a boulder, pushing Betty out of the way while risking his own life (fortunately the Hulk saves them both). She sees the major in a new way. Meanwhile the Hulk is battling the robot. He knocks the robot into a bottomless pit, then saves the base from a rocket the spy had sent its way. However, the blast from the rocket leaves him kayoed, and helpless as Talbot and Ross bind him up in an outfit ironically designed by Bruce Banner himself. The third part of the story is in TTA #62. The Chameleon, last seen in Amazing Spiderman #1, comes to the army base, working for a mysterious figure called The Leader. He impersonates both Ross and Banner, escaping with a Gamma-Ray bomb and Betty. But the Hulk chases him down and in fear for his life, the Chameleon tries throwing the bomb at the Green Giant. Of course, it just turns him back into Banner. Comments: One of the obvious flaws in the series is that Banner is constantly being found out in the desert, with raggedy, torn purple pants. What, nobody notices those are the same pants the Hulk was wearing? After the relaunches of the Flash, Green Lantern and Aquaman in Showcase and Hawkman in Brave and Bold, the next Golden Age character to get a face lift for the Silver Age was the Atom. In the 1940s, the Atom had no super powers, but was simply Al Pratt, a short man who was an excellent fighter. For the Silver Age, DC decided to make him a shrinkable superhero. Ray Palmer is introduced in Showcase #34 (September-October 1961) as a graduate student in physics at Ivy University. He's studying ways to shrink matter using a piece of a white dwarf star, but his experiments explode, limiting the utility of his process. He's got a girlfriend (Jean Loring), who refuses his offers of marriage because she wants to prove herself as a lawyer before settling down. While hiking in a cave with some youngsters, Ray and Jean are trapped by a cave-in. Ray discovers a tiny hole to the outside, and using a crystal from the white dwarf, manages to shrink himself down in size (fortunately his clothes also shrink) and enlarge the hole so he can help Jean and the children escape. We learn that he has the capability of changing his weight in addition to his size, but retains his full strength. He helps Jean win her first case, proving innocent a young woman named Alma Wilson. Along the way we learn one of the Atom's patented tricks: He can dial a number on the phone, then hop on the sound waves and travel to the other end of the line. Ray has an interesting reason for fighting crime. 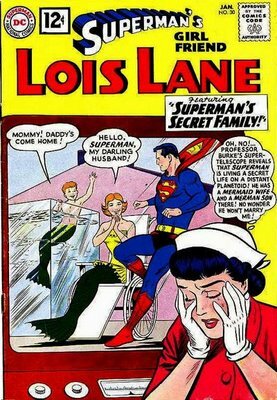 Since Jean won't marry him until she's succesful, the Atom's help by solving the crimes for which her defendants have been accused may end up getting her to become Mrs. Palmer. In the third tryout issue, we meet Doctor Loring, Jean's dad, who's another scientist. Alma Wilson, Jean Loring's client, returns as well. 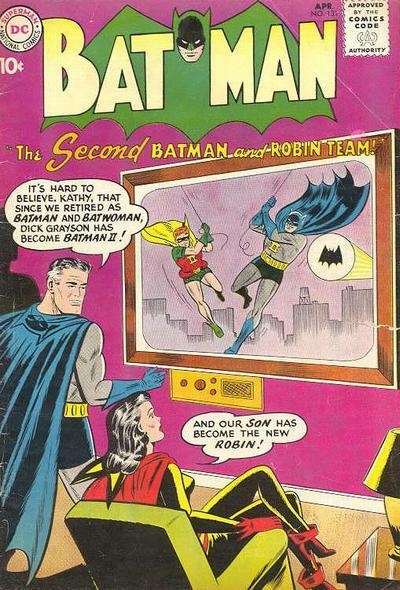 The tryout seems to have succeeded, as the Atom was awarded his own magazine during the summer of 1962. I'm probably not the first to notice this, but when Johnny Romita took over for Steve Ditko on Amazing Spiderman Stan Lee made it an important issue featuring Green Goblin, then when Gil Kane took over for Romita Stan Lee made it an important issue featuring the Green Goblin. At any rate the key event in these two stories is that the Green Goblin learns Spiderman's secret identity. This is not unprecedented, by any means, especially when you consider the way the story is resolved. As the story begins we learn that the Goblin is ready to strike. Peter is not in the best of health; he's battling a cold and while the family physician is treating him, the doc warns him that any shock could kill his aunt. The Goblin employs a gang which manages to hit Spidey with a gimmick that wipes out his spider-sense. Without his warning signal, Spiderman changes back into Peter Parker without realizing that he's being observed by his most deadly enemy. The Goblin tails Peter back to his aunt's house, then attacks. He quickly subdues Parker and takes him back to a hideout by the wharfs. There he reveals himself as the father of Harry Osborn, a new classmate at Empire State who's already scrapped with Peter. There follow several flashback sequences as we learn how Osborn, determined to be a success in business, and later crime, neglected his son along the way. We also get a recap of the prior Green Goblin-Spiderman battles. Finally they battle one last time. Spiderman manages to kayo the Goblin, and when Osborn regains consciousness, he has amnesia about the last several years. 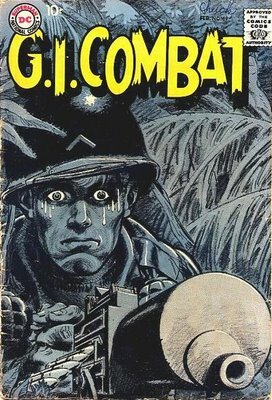 Of course, in this sense, Stan Lee was just doing what comic writers had done since the 1940s. There was a tradition that if anybody discovered the hero's identity in the course of a story, he or she must either die or suffer amnesia before the story ends. Unfortunately, a predictable by-product of this outcome was that the Green Goblin's appearances would become less frequent. Indeed, in the next five years, Gobby appeared only once, and that in the oversized Spectacular Spiderman; more frequent appearances would have made the amnesia result increasingly hard to believe.